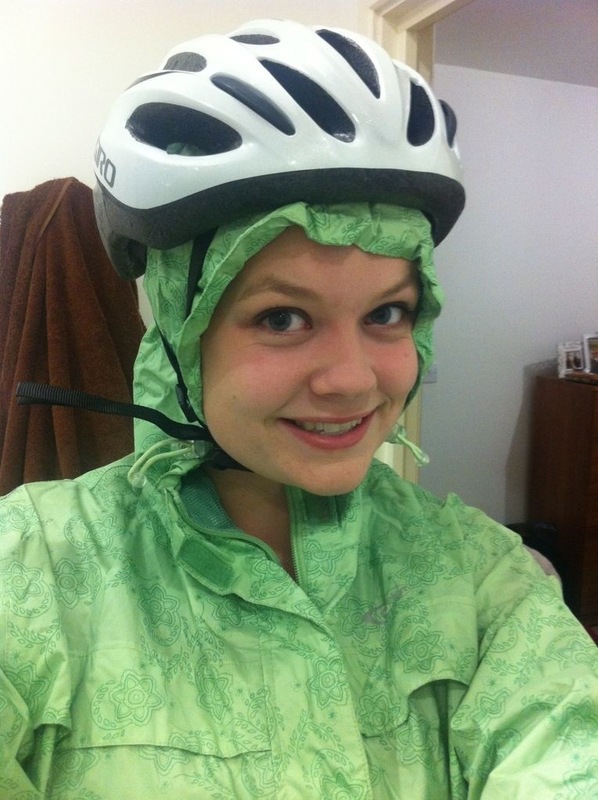 In recent mention of me losing weight, here’s me about to cycling to work in the pouring rain at quarter to 8 in the morning! I plan to stick at it through all months and brave the cold, wind and rain (wind being my biggest pet hate). It’s going well so far, and I’m proud of my efforts! Hah! I’ll take that compliment! Some people ride in the rain, others just get wet!!! Enjoy!